My first collection of poetry, Breaking into Butterflies, is now available for purchase! 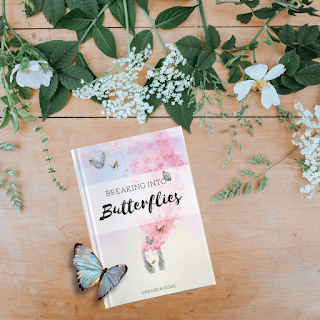 The collection covers topics such as insecurity, anxiety, relationships, self-discovery, and change. It is a piece of my hear that I hope will touch yours, and I can't wait for you to read it! The collection is currently available in both Kindle and print editions here! You can find a digital copy of The Huron River Review Issue 15 here. My poem is on page 49. 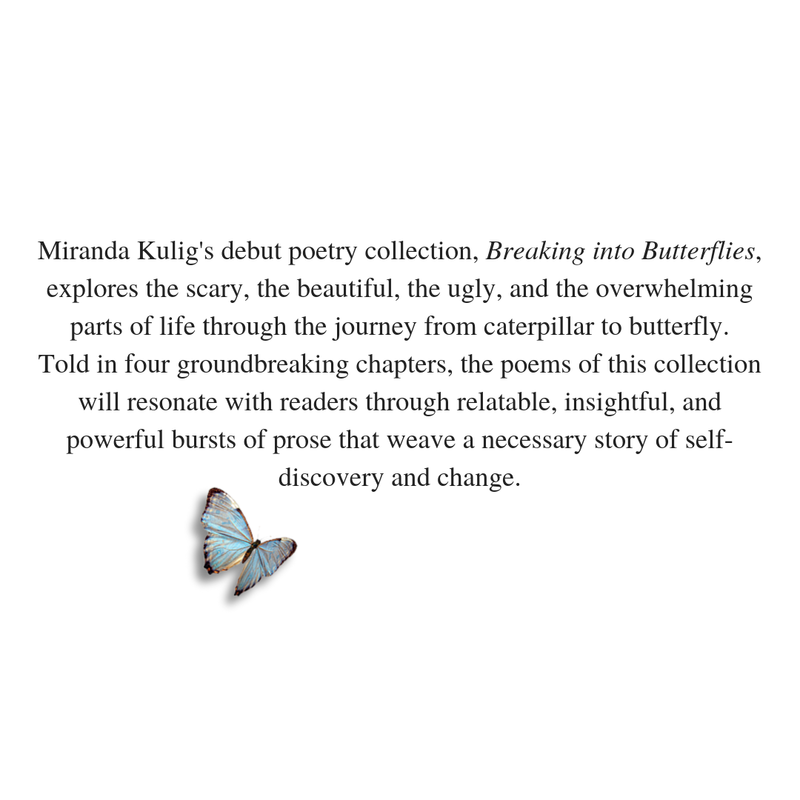 Michigan's Best Emerging Poets can be purchased through this link. 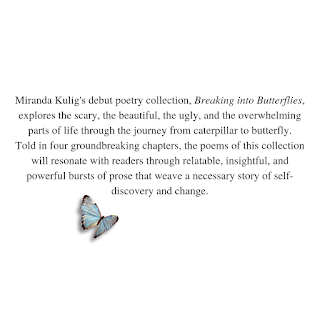 America's Best Emerging Poets can be pre-ordered through this link. Finally, I have poetry available to read on Instagram! You can check that out here.